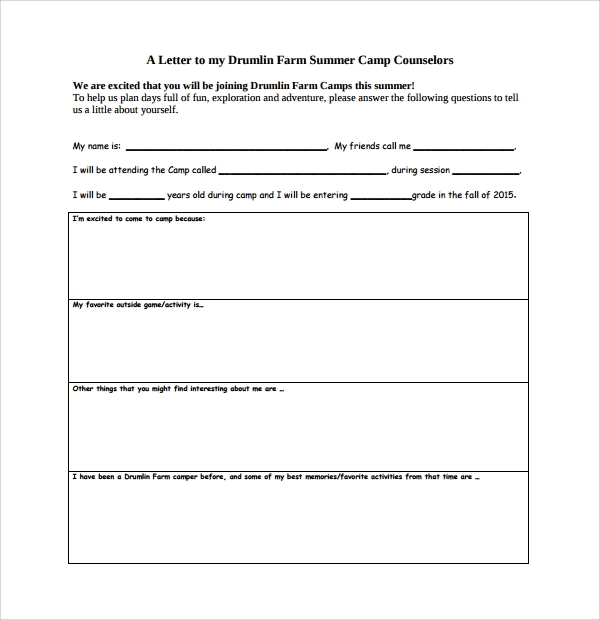 The camp counselor cover letter is much required for those, who are trying to apply for a camp counselor’s job. If you are interested in taking care of camps and kids, and know that you can manage things well while keeping coordination between fun jobs and responsibilities, then this is the right platform for you. 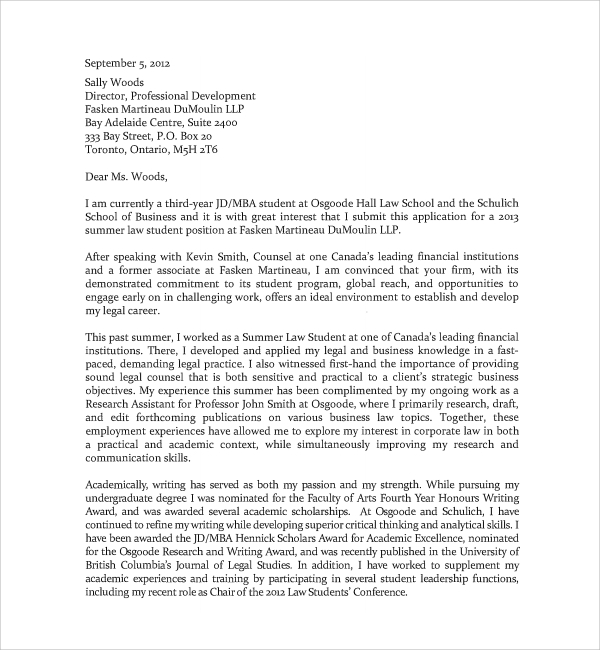 The cover letter for the job application must emphasize upon these skills of yours, and therefore to make it look perfect you can download a sample cover Letter of Recommendation available online and frame your application. 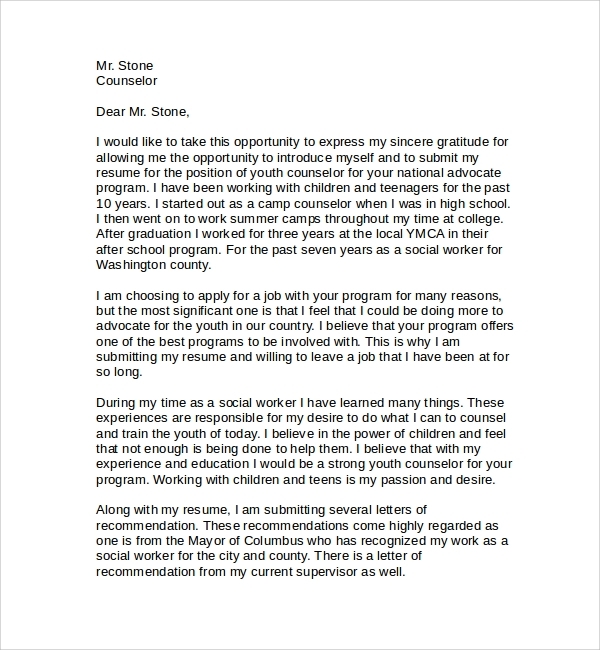 A summer camp counselor job is a seasonal job, and the cover letter must express that you are interested in the seasonal job role while taking care of kids and engaging with them while taking all responsibilities. The cover letter will be expressing your qualities and last experiences as the camp counselor, which you may download online. 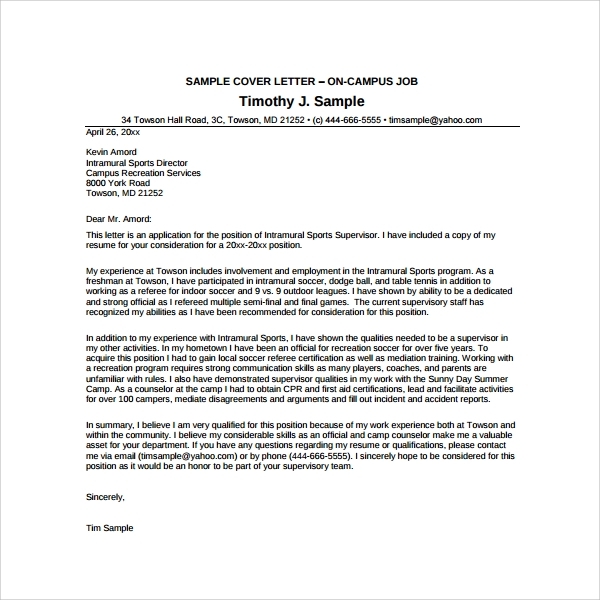 To prove to your recruiter that you are the best candidature for the camp counselor job, the cover letter is a must, which will tell about your successful career path, your capabilities, and your qualities. This job role is not ruled by academic qualifications only, but rather needs a lot of skill sets, which you must keep on proving through the job. You may be skilled enough in public speaking and handling crises, and may be a good challenge seeker. But while writing, you may not be able to shove in all those qualities into the document through the right choice of words. 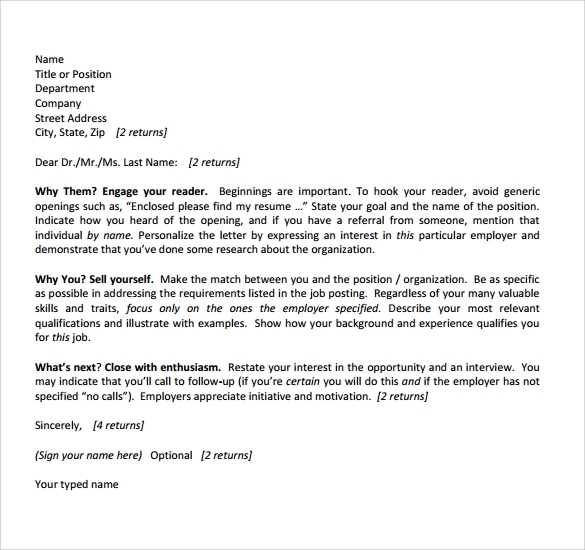 The cover letter thus is an important tool for the best application. 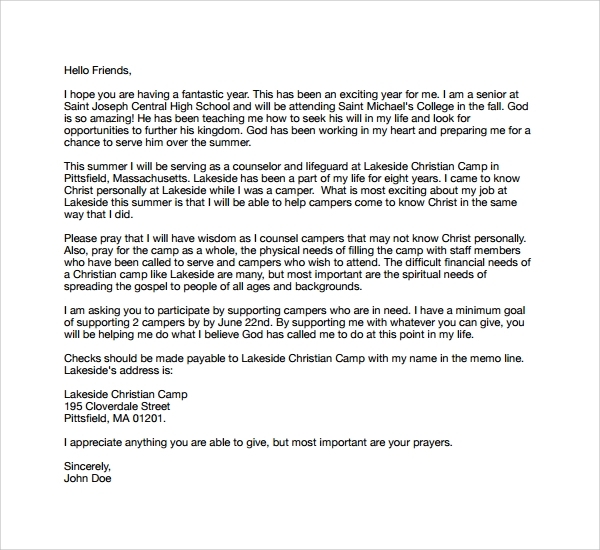 The internet is full of great resources which can give you great camp counselor letter samples. You can download samples from the net, and can then customize them as per your needs. Most samples will complete the universal information and application tone. You will only have to fetch in more details about your particulars and past experiences if any. Customization takes little time, and your letter will be ready soon without any brain racking effort. You can invest that time and effort in rather customizing the sample you download. 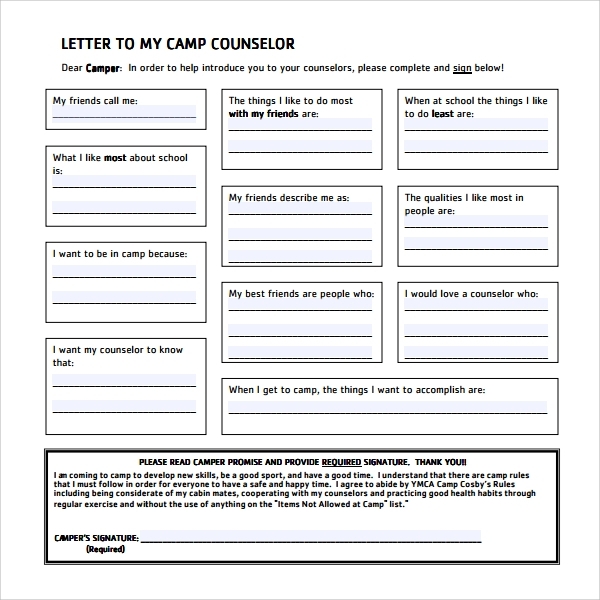 The framing of the camp counselor cover letter is a tricky job. The job is seasonal, and involves high amount of responsibilities. If this is related to Christian camps then the responsibilities get higher because it involves not just catering to the camp needs and taking care of kids while guiding them, but also involves abiding by the Christian norms as well. For these reasons the cover letter has to define all of the qualities of the person, which will prove how efficient the person can be as the camp counselor. The online samples available are made with provision of framing all those things, and essential data in an interesting manner while keeping it precise. Applying as the camp counselor you can enjoy a nice job filled with lots of fun and adventure, activities and responsibilities, and will have new experiences every season. But to get it that way the job is essential and therefore the importance of a goo cover letter is high.